Hello lovely readers, or empty internet space, depending on my audience. I guess I wanted to start a blog because, well I read a whole bunch of blogs and I wanted to throw my two cents into the grand discussion of unimportance. So I've created this blog to do whatever it is I feel like doing on here. Most of the time I will post reviews of various things like many blogs that I follow, but unlike those educated writers, I have no knowledge of the things I will be reviewing. I have a few topics in mind, like beer reviews for the nonbeer drinker and makeup reviews for the lazy girl. As you will come to find, I like a great many things, and I like to try a great many more. 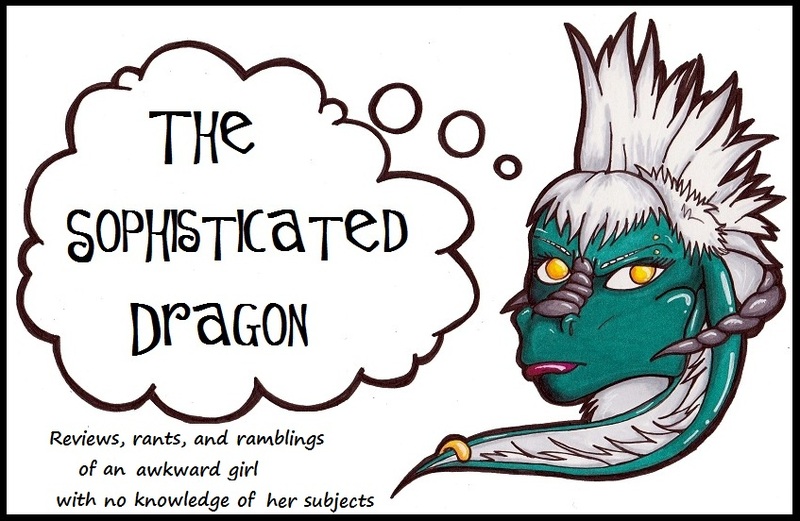 But I am not interested in learning all of the proper terms and lingo that go along with these things, so I guess this sophisticated dragon isn't so sophisticated after all. I'll be taking a journey of knowledge into a world of Stuff (stuff being as concrete of an idea as I have currently) and tackling the big subject of Things (things also being as concrete as it gets for right now). Now I guess a bit about me. I am an awkward college girl with only a slightly adventurous spirit. I like beer and playing with makeup, but you probably guessed that by now. I watch bad movies and deep, intellectual documentaries like I eat Taco Bell (all too frequently that is). I am coming from an English degree and heading into an Art degree, so I apologize in advance for the sometimes scholarly slant to my writing and for the random art posts. And I'm running out of things to say about myself so I will end this post here so I can begin the posts that this blog will actually be about. So hi and welcome to my randomness.